Being fit is about more than just looking good, it is about expanding your capabilities and building self-confidence. 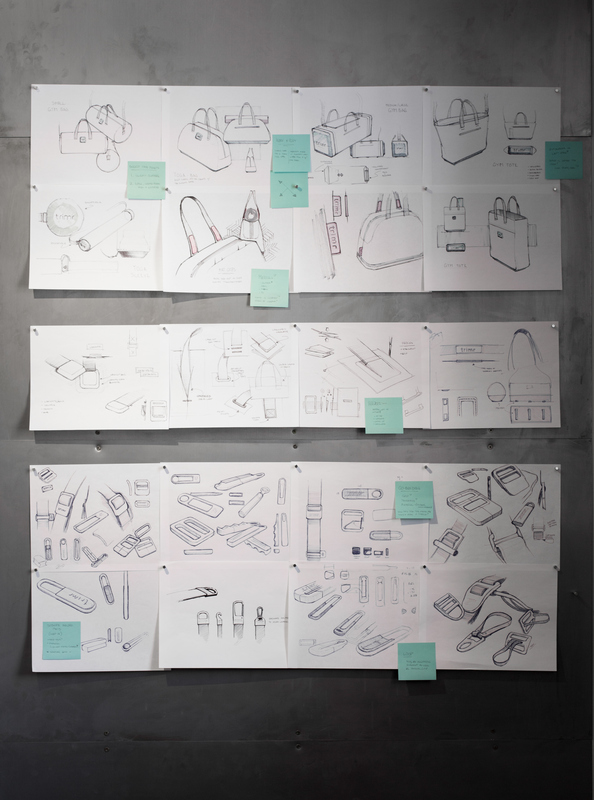 The Studio Collection was designed to help women do just that. 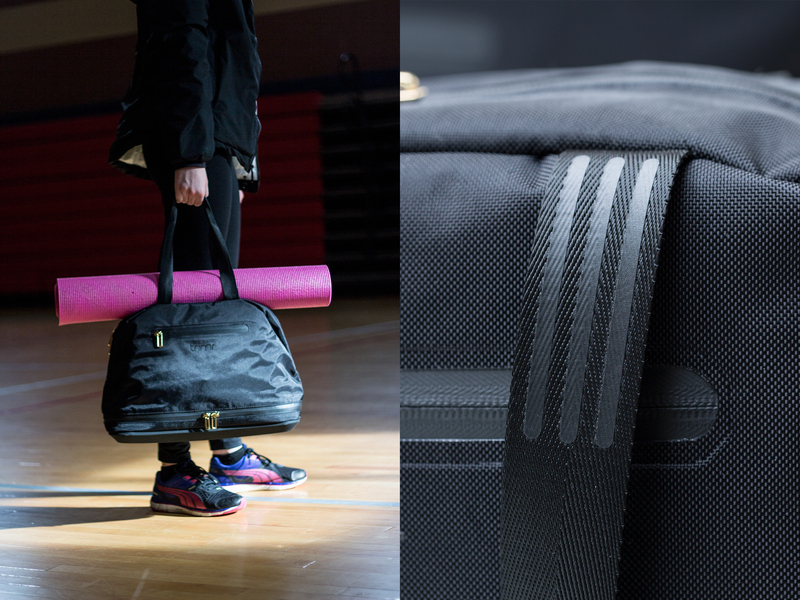 The Studio Bag is designed for carrying a yoga mat. 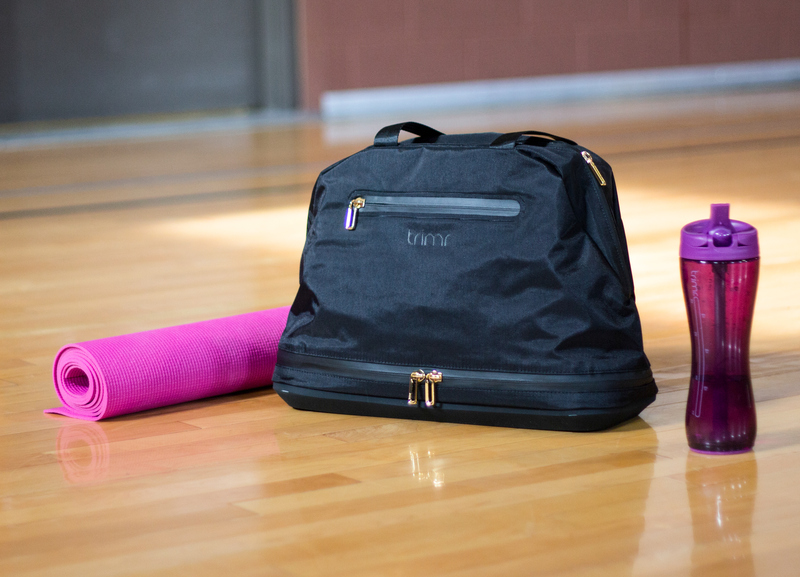 The handles have a silicone print that grips the yoga mat as it sits on top of the bag. 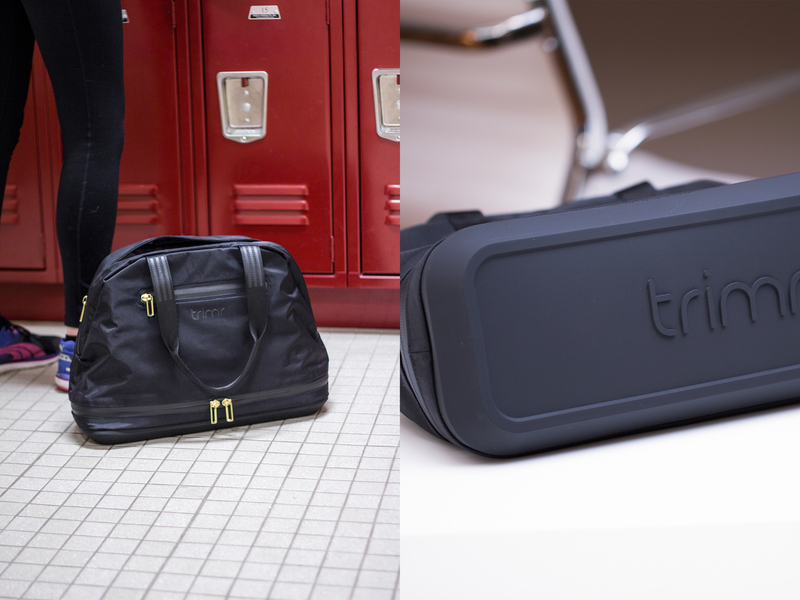 The locker room can be a scary place, but the Studio Bag’s silicone base helps keep your gear out of the “who knows what” that’s on those floors. Just wipe it clean when it gets dirty. 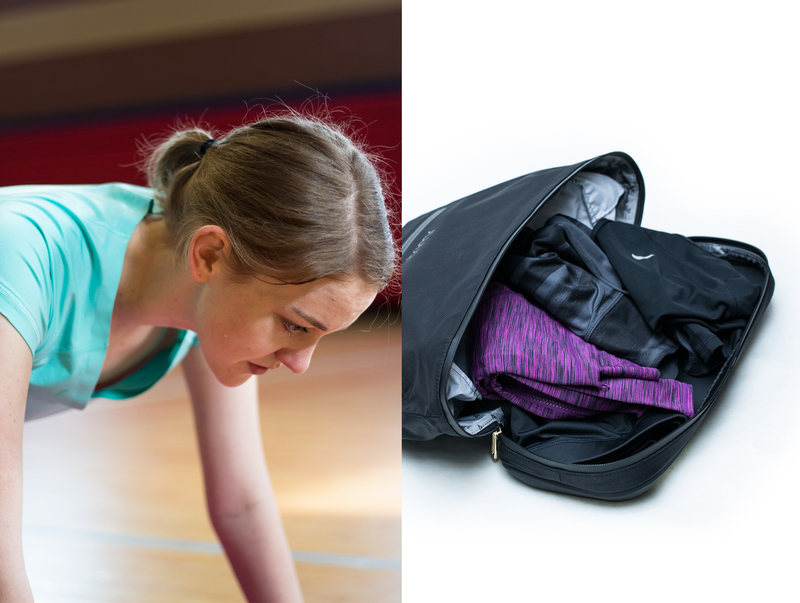 The bottom compartment is the perfect place for those sweaty, stinky, post workout clothes. 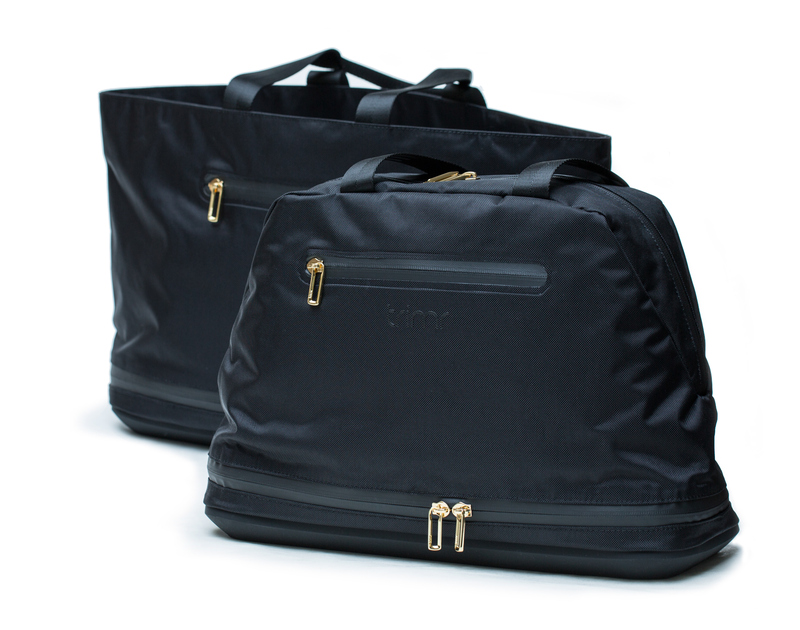 The coated liner separates the main/dry compartment from the bottom/wet compartment. 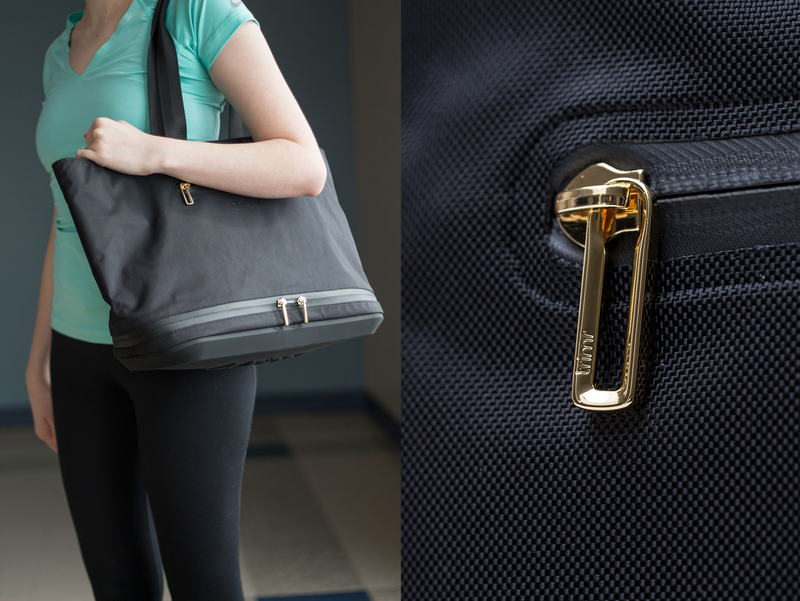 Coated fabrics, coated zippers, silicone base, welded pockets, and gold plated hardware come together to make a beautiful and functional accessory.